BIGNON LEBRAY reinforces its teams and broadens its range of services with the appointment of eight new partners in the M & A – Private Equity, Tax, Employment, Competition, IP/IT and Real Estate departments. The new partner appointments come from both within the firm and from external growth. The continuing expansion means the firm now has 31 partners. 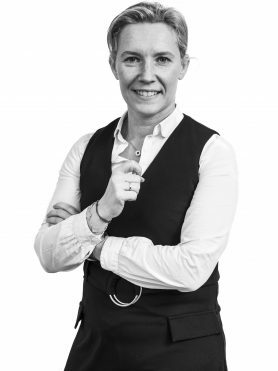 Caroline Cazaux, 39 years old, joins the Competition and Distribution department. She has previously worked for firms such as Fidal (2011-2014) and Fourgoux & Djavadi (2015-2017). She has developed significant expertise in the distribution of health and veterinary products, as well as food and consumer products. She has advised clients on the structuring of their distribution networks, their commercial and pricing strategy, and advertising of products. She holds a DESS in International Jurist Practice from the University of Social Sciences of Toulouse. 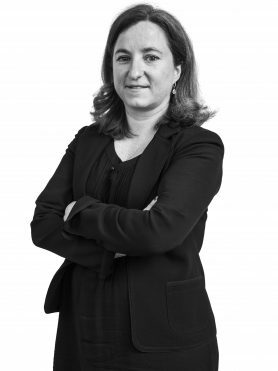 Marie-Charlotte Diriart, 42 years old, joins the Labor Law department. She was the partner in charge of Brunswick’s Labor Law department between 2016 and 2018 but had previously practiced within various law firms such as Hogan Lovells (2007-2016) and Kahn & Associés (2000-2007). She advises clients in the industrial, health, technology sectors. She also has significant expertise in restructuring projects. She holds a DESS in Law and Labor Relationship Practices from the University of Panthéon Assas. She is certified in collaborative law and experienced in alternative dispute resolution procedures. Elise Dufour, 42 years old, becomes a partner in the Intellectual Property & Information Technology department. She has developed significant expertise in digital law. 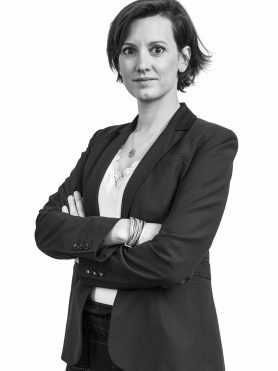 With 10 years of experience gained in several law firms such as Dreyfus and Alain Bensoussan (2007-2016), she mainly advises on information technology projects, data protection law and application of the GDPR. Elise is President of the Cyberlex association. She is also an approved WIPO-Parl expert and a certified Data Protection Officer. She holds a DESS in Business Law from the University of Paris V and a LLM IP / IT from Queen Mary University. 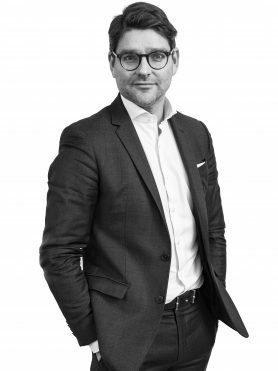 Nicolas Moreau, 40 years old, joins the Intellectual Property & Information Technology department in Paris. He has a DESS in Industrial Property (University of Paris II, Panthéon Assas) and a Master Specializing in Law and International Management (HEC-ESCP). He started his career at Gide Loyrette Nouel in 2004 before joining DLA Piper (2006), then Promark (2008-2016) where he became a partner. Nicolas then joined Brunswick in 2016 to set up the Intellectual Property and Information Technology department. He manages a portfolio of more than 3,500 trademarks and also advises innovative companies in the negotiation of Research & Development contracts. 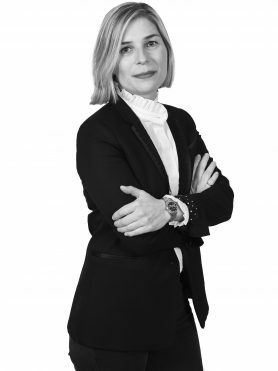 Ondine Prévoteau, 37, becomes a partner in the Real Estate Law department. She joined the Lille office of Bignon Lebray in 2011. She advises in contentious and non-contentious matters, encompassing all areas of commercial and real estate law with an emphasis on commercial leases. Ondine holds a Master’s Degree II in Competition, Consumer, and Intellectual Property Law (University of Economics of Rennes) and a Master’s Degree I in Business Law (Catholic University of Lille). 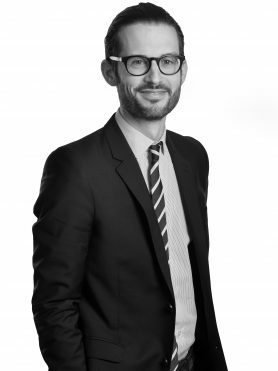 Pierre-Emmanuel Scherrer, 43 years old, is appointed as a partner in the Tax Law department. Based in Lyon, he has developed the firm’s tax offer for asset-backed transactions and asset-based tax structuring. He is particularly involved in advising on complex national and international transactions, capital transactions, and also assists French companies active internationally and foreign groups investing in France. Pierre-Emmanuel was previously a member of Veil Jourde (1998), Gibson Dunn & Crutcher (2006) and Fidal (2009-2017). He graduated from HEC (1998) and holds a DESS in international taxation (University Paris II, Panthéon Assas). 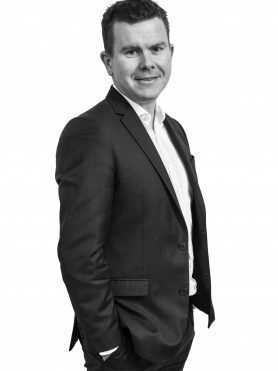 Alban Van de Vyver, 42 years old, joins the Corporate – Mergers and Acquisitions team in Paris. After 8 years with Racine, he joined the Mergers & Acquisitions – Private Equity department of Brunswick as a partner. He graduated with a Master’s Degree in Business Law and a DEA in Comparative Legal Studies (University of Paris I Panthéon-Sorbonne). He has significant experience in Private Equity and advises funds on capital raising and LBOs (small cap), as well as management and entrepreneurs. He also advises on M&A transactions with French or foreign SMEs and ETIs. François Vignalou, 46 years old, joins the Tax department of the firm. A graduate of DJCE, he began his career with Bureau Francis Lefebvre in 1997 before joining the international management of FIDAL (1999) and later Paul Hastings (2001). He then created the firm Richer Outil Olivier-Martin & Vignalou before joining Brunswick in 2012 to set up the tax department. François advises in the areas of corporate tax, tax issues arising out of M&A transactions, asset taxation and real estate taxation. He also assists non-profit organizations, which adds a new area of expertise for BIGNON LEBRAY. Jacques Goyet, Chairman of the Management Board commented as follows: “We are very pleased to welcome this group of new partners and their associates. Our firm now has a headcount of more than 110 individuals, including 80 lawyers. We are strengthening the Parisian team to offer a full range of legal services encompassing increasingly specialized practices that will provide an even better service to our clients”. He pursues: “These appointments are part of a process of development that has been taking place over the past few years and was marked by the recent relocation of our Paris headquarters to larger, more modern, and functional premises. The strength of our firm lies in its human, social and environmental approach. We are committed to providing an enjoyable working environment for our lawyers and staff.